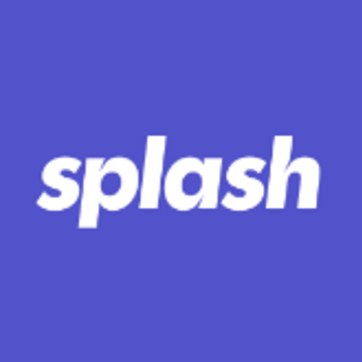 Splash is an event marketing platform changing how brands market through their events. We believe the most powerful marketing happens in-person. Our mission is to help make it unbelievably easy to host meaningful events. At Splash, we strive to develop the most innovative event technology on the planet to help marketers reach & engage their target audiences through in-person events. From simplifying event asset creation, to capturing attendee insights & measuring event impact, Splash enables marketers to efficiently scale event programs & connect event-driven engagement to business results. More than half of the Fortune 500 use Splash to streamline event marketing execution & optimize performance. Splash is looking for a VP of Marketing to lead the companys strategy & vision, & to help us deliver on our significant growth goals. This role is responsible for the strategy, tactics & programs to create interest, demand & recognition for Splash through strategic initiatives, PR, advertising, events, channel, field, & online marketing.The ideal candidate is an entrepreneurial, a revenue-oriented leader & brand storyteller, who is comfortable owning a broad range of marketing responsibilities. This is a hands-on position where you will be expected to operate both at a strategic level as well as the ability to execute. Strategic Planning. Set strategic & operational plans for the marketing function, including budget, headcount, performance targets & priorities. Sales Alignment & Support. Partner with the sales teams to optimize acquisition targets, lead generation, pipeline coverage, acceleration & alignment across account priorities, etc. Support sales planning, account prioritization & sales & marketing alignment. Drive the marketing execution for optimizing target accounts within territories based on market data. Demand Generation. Create a scalable demand generation machine utilizing multiple channels & advanced targeting methods. Relentlessly optimize against metrics. Lifecycle Nurturing. Leverage our amazing content to strategically nurture prospects & customers throughout their lifecycle through intelligent nurture programs & retargeting efforts. Customer Journey. Help create customers for life through partnership & advocacy with sales & customer success teams. Partner in development & support of programs that foster positive journeys, including customer ramp, education, thought leadership, & community. Leverage data to identify areas of focus & improved support. Operations. Build the tech stack foundation to precisely track core marketing metrics & understand program spend effectiveness through multi-channel attribution. Track core customer metrics including CSAT & NPS & report to the overall organization. AR/PR. Build momentum by shaping & capitalizing on the Splash vision. Target & develop key press & analyst relationships. Tell our story with passion & conviction. Performance - Own marketing performance metrics (KPIs), relying on continuous testing & optimization. Report on marketing effectiveness to the management team & board & be accountable for those results. Provide regular reporting cadence & visibility through dashboards, on all marketing activities to track performance, contribution to pipeline & ROI. Drive the learning & adjustments for the campaign optimization across content & execution. Build & manage a high-performing marketing team, while coaching & developing team members for longer term organizational success. Function as an executive leader & doer, providing leadership & insights, supporting strategic objectives, & being a hands-on member of the team. Improve brand awareness & engage in the end to end ownership of Splash positioning in the marketplace (brand identity, content strategy, etc.). Maximize public relations initiatives, working with internal & external partners to identify & capitalize on opportunities for analyst / media coverage for the organization, & to position Splash as the industry thought leader for event marketing. Build & execute ROI-driven marketing programs to drive sales & revenue growth. Implement best practices in marketing & pipeline development to fully leverage investments. Team Builder. You recognize that we go further when we go together & you have experience building, growing, & leading multi-level teams. Problem Solver. You have the ability to deal with conflict & drive to solution. You also have the ability to handle ambiguity effectively & oversee multiple projects at once. Leader. You have experience defining design strategy & execution plans. You are comfortable with change, especially those which arise through company growth. Excellent Communicator. You know what to say & more importantly, how to say it. Energetic & Enthusiastic. You believe in what we're doing & won't stop at anything to deliver on your goals. Cross-functional Player. You love working across the organization & have a results-driven approach that values teamwork, calculated risks, timely execution, & quality delivery. Gritty. Enjoys problem-solving & can find learnings in failure. Brings ideas & empathy to the task at hand. Finding the smartest risks & taking action. A voracious learner with a hunger for new technologies & trends. Desire to build something big & has the patience to get it done right. Default is to build things for scale. Takes pride in work through a high attention to detail. Strategic. Understands full lifecycle & full company strategy. Focuses on impact over activity, & can easily navigate between the long game & the short game. Can draw the line to dollars & impact. Innovative. Jargon, fluff, & status quo wont make it pass you. You have a knack for talking to people, & a default for taking creative & innovative approaches. Relentlessly High Standards. Strong understanding of how to create unparalleled brand experiences & a track record for delivering innovative, high quality programs. Optimizer. Disciplined in the pursuit of growth. Doesn't settle for done. Constantly strives to improve the impact of every program. Analytics Cheerleader. You thrive on digging into the data to understand patterns & trends. Your passion for data & self-service analytics are contagious & play a key role in your decision making. Educated. Bachelors degree in marketing, business or equivalent. Higher degree or certification is a plus. A track record of creating, driving & executing a marketing strategy that resulted in substantial YoY growth. Have been there, done that, at multiple innovative & high-growth companies. Your track record & wall of achievements is brag worthy. If youre interested in joining our growing team, please send us your resume. Salary commensurate with experience. We offer a full suite of benefits, medical, dental & vision. At Splash, we believe that big ideas & great communities come from a team that celebrates diversity of all kinds. We are committed to being an equal opportunity workplace & encourage people from all backgrounds to apply.